Slow roasted Nadan Beef Fry is a dish that tingles taste buds and a dish that will never make you say ‘enough’. No festive occasion is complete without yummy tempting Nadaan Beef Fry. 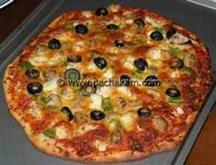 You will discover Beef dishes very common among Christian families in Kerala. 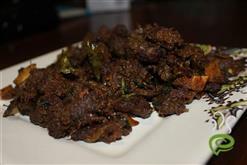 Nadan Beef Fry is unique with the flavor and aroma of coconut oil and fried coconut pieces. Beef Fry tastes supreme with Kerala Porotta, appams, almost with anything. 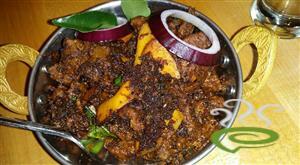 Traditionally Nadan Beef Fry used to be cooked and slow roasted in claypot using ‘adupu’. 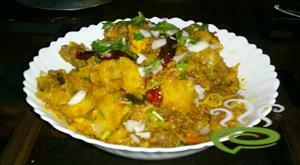 You can explore a well written and step wise presented Nadan Beef Fry dish here.